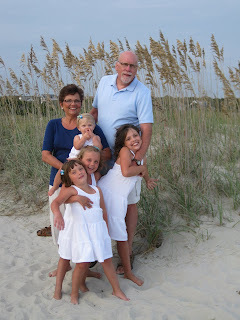 On July 25, we celebrated our 40th wedding anniversary with our children and our four granddaughters on the North Carolina Coast. Since then we have been busy packing up our house and offices, getting rid of belongings we do not need, and deciding what we will take with us to Jerusalem. For us the sentence would read "When we grow up we want to begin a whole new phase of ministry together in Jerusalem." We have spent the past wonderful 24 years in Waverly, Iowa, where Fred was professor at Wartburg College and Gloria was chaplain at Allen Hospital. So it's hard to leave, but the time is right to follow our call to a new life in Jerusalem with all its challenges and opportunties. 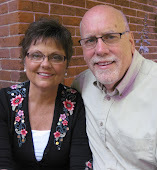 Our commissioning service will be on August 15 at St. Paul's Lutheran Church and we depart for Jerusalem August 21. We invite you to follow our Walk in Jerusalem on this blog.